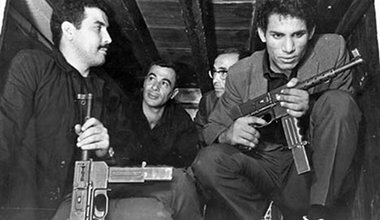 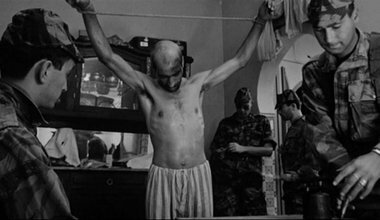 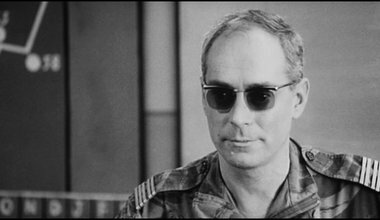 Latest in "Battle of Algiers"
The film shows a popular revolution above all else. 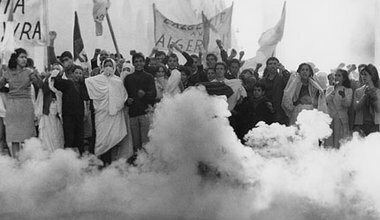  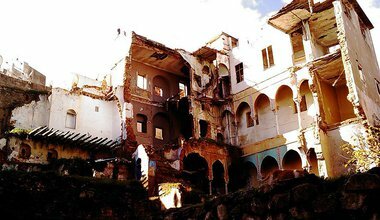 It was the French colonisers, after all, who were bound to international conventions that govern the practice of harm in a way that a small groups of individuals like the Algerians, were not. 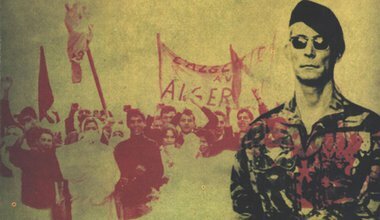 A 36-year old Algerian lecturer from the post-independence generation explains what Gillo Pontecorvo’s film means to him. 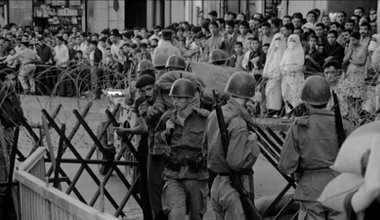 Cinematic representations of the Palestinian struggle against Israeli occupation frequently invoke The Battle of Algiers as a point of reference. 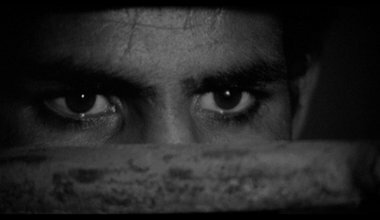 This reflects a long history of Palestinian identification with the Algerian independence movement and more specifically with Pontecorvo’s film. 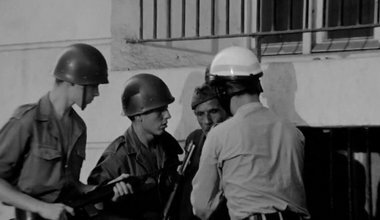 The ‘chaos and fear’ inspired by The Battle of Algiers is certainly there, enhanced by another parallel between the two films – the location from which the uprising bursts forth. 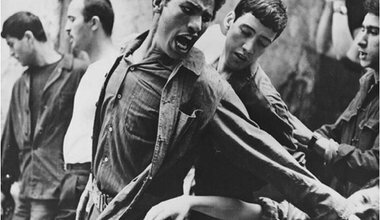 In its framing techniques, Pontecorvo’s film arguably defines the ‘people’ in fundamentally masculine terms; as a Revolution comprised of male ‘heroes’ and martyrs.